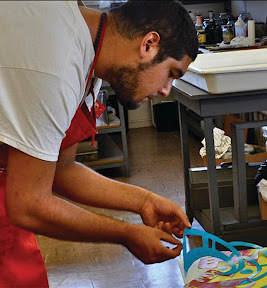 The Art Department at the University of Hawaiʻi at Hilo provides study in studio art, concentrating primarily in the areas of Drawing, Printmaking, and Painting. The curriculum supports students in the comprehension of art theory, aspects of art history, and the fundamentals of studio practice. Students continuing their education in graduate studies are offered guidance in the development of their portfolio of work which is a requirement for graduate school admission. Other areas of study in the fine arts can be arranged through consultation with the Art Department and College of Arts and Sciences. 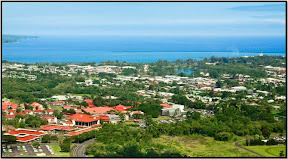 The University of Hawaiʻi at Hilo is located on the windward side of the Island of Hawaiʻi in the bay city of Hilo. This quiet city of 50,000 is 500 miles from the state capital of Honolulu and 2,500 miles from San Francisco. The city has a major airport and harbor and provides a complete range of medical and social services. The Island of Hawaiʻi is the largest in the Hawaiian archipelago. Ka Lae, the island's southernmost point, is approximately the same latitude as Mexico City. Hawaiʻi is the home of Kīlauea, the world's most active volcano. The geography of the island includes contrasting environments which change from tropical rainforests to lava deserts; lush valleys to snow-capped mountains; and rugged seaside cliffs to gentle beaches. The Art Major (B.A.) program in the College of Arts and Sciences in the University of Hawaiʻi at Hilo established in January 1986 and is based upon the creative, experimental, and developmental aspects of art. The curriculum is designed to provide students with an understanding of the history of art, the role of art as an expression of cultural heritage, and of the practice of art in the studio environment with an emphasis on drawing, printmaking, painting, and digital media applications. Department programs offer additional opportunity for students, the university, and the community to experience attitudes and forms of visual art in regional, national, and international contexts. The development of archetypal individually unique creative works of art. The body of work completed for each studio courses qualifies learning outcomes and ultimately serves as the basis of the professional portfolio for each student earning the BA studio art degree. The understanding of aesthetic theory, a cognizance of contemporary movements, perspectives of the history of art, and developing a working relationship with variety of media and approaches to form are a hallmark of the program. These relationships provide a solid foundation for mastering independent visual thinking. 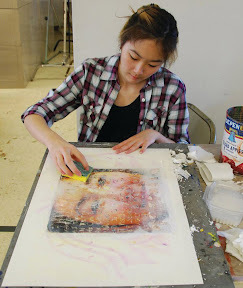 Current specializations in the studio major in art are drawing, printmaking, and painting. Students can also pursue individually organized curricula focused on digital media, design, video, photography, ceramics, and three-dimensional forms through directed study. The program prepares students inclined toward vocation in the fields of graphic design, illustration, applied arts, and teaching. The study of studio media, methods, and applications, art history and visual theory, form a strong basis for the type of creative thinking required in a variety of professional careers. The understanding of creative process combined with imagination, a developed aesthetic sensibility, strong visual conceptualizing skills, and the ability to consider with equal confidence micro and macro perspectives establish powerful tools that can be applied in a variety of real world job settings. For some students the study of art is used to further individual interests. The program provides a sound fundamental basis from which these interests may be developed. The program promotes the concept of “lifelong learning” in the university environment. Art as a basis for a liberal arts education. The study of the visual arts is an important component of a liberal arts education. The study of art helps to develop abilities for skillful creative applications, the growth of imagination, and an insight into human cultural relationships. The Art Department of the University of Hawaiʻi at Hilo (UH Hilo) provides an environment that supports scholarship and studio instruction in a range of visual art disciplines offered in an intimate shared campus setting. The uniquely situated arrangement provides tradition training in drawing, two and three dimensional design, painting, intaglio and lithographic printmaking process is conducted in an environment that embraces Eastern and Western perspectives within a Pan-Pacific context. Courses in ceramics, photography, and digital media are available through Hawaiʻi Community College (HawCC) program. Additional art experiences and hands-on training are provided through an ongoing series of department sponsored Visiting Artist residencies, UH Hilo Campus Center Gallery exhibitions, and other community based partnerships. The confluence of opportunity makes available student access to a full range of contemporary studio practices and exposure to differing applications of current aesthetic theory. Our objective is to train intelligent hands capable of driving the technologies applied to the production/creation of art; help students better understand current professional standards as they are applied in the field. The development of working relationships with materials, techniques, procedures, and training in creative exploration of individual expression and ideas. 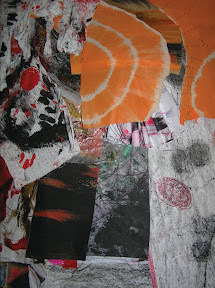 The development of creative thinking and critical analysis in the area of the visual arts. Critical thinking skills and the ability to express this process are significant aspects of studio practice. The understanding of the history of world cultures and an appreciation for developments in the contemporary mainstream. Comprehension of the role of art as an expression of cultural heritage. The experience and exposure to mainstream visual arts through national and international exhibitions to establish a broader base of comprehension for contemporary movements in art. Preparation for graduate studies in studio art. The program areas in the Art Department which can support graduate school candidates are painting, printmaking, drawing, and digital media. The development of a foundation for professional occupations in the areas of digital media design, graphic illustration, and teaching. The development of organizational and planning skills and experiences required in the profession of art. Providing a cornerstone for liberal arts education in the University environment.